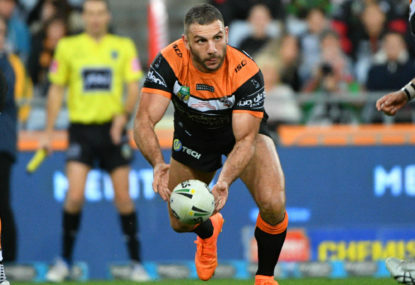 Jarryd Hayne insisted last week he wasn’t playing for a contract, but the cross-code star did his future no harm in Parramatta’s tight loss to St George Illawarra in the NRL. Hayne enjoyed his best game of the season so far for the Eels in their 20-18 defeat on Thursday night, as he scored one try and saved another at WIN Stadium. Off-contract at the end of the year, Hayne revealed this week he is in no rush to make a decision and claims he won’t make a call on his future until the end of the season. 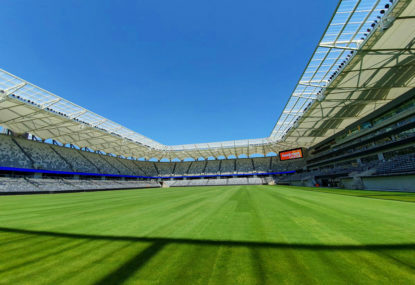 But those at Parramatta, including coach Brad Arthur, would have liked what they saw from the 30-year-old in Wollongong. 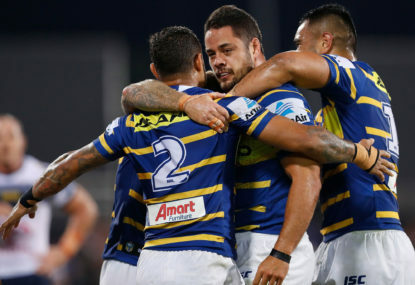 Criticised for his performance for Fiji last Saturday and forced to back his desire for the sport, the off-contract Hayne has now scored four tries in three games for the Eels since returning from a hip injury. He also made a mini break in the second half to finish with a team-high 138 metres and six tackle busts, as well as a gusty effort to help hold up and force out powerful Dragons second-rower Luciano Leilua. “I thought he was good – real good actually,” Arthur said. “His involvement early. The outside backs if they come in and get that involvement early it gets them into the game and it’s a good sign to their teammates too that they are there to play. 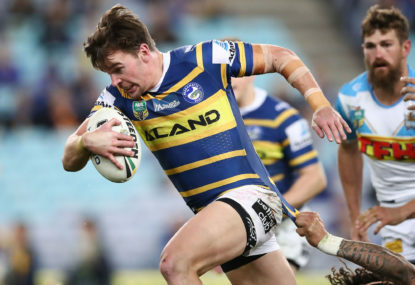 “He is three games back from injury at Parramatta. Against the Cowboys (in round 14) if he doesn’t play I thought we might not win that game. I thought he was good against Souths (in round 15). Thursday’s loss marked the Eels’ 12th of the season, and their fourth in the past nine games by a converted try or less. This one was particularly cruel, after they jumped to an 18-8 lead and looked likely to close out the match with seven minutes to play before two late Dragons tries. 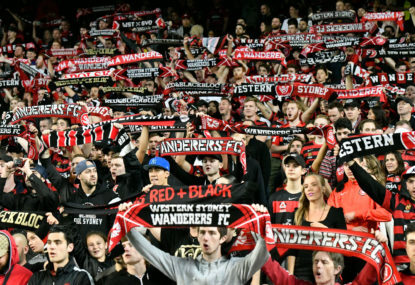 It represents a significant change of fortunes for the club, who won five games by six points or less and lost only two tight ones on the run to last year’s finals. “Those games last year, we found ways to win them and held our nerve in those periods,” Arthur said. “This year, were’ just not holding our nerve in those periods. 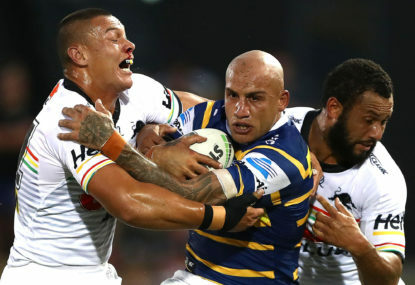 Parramatta winger Blake Ferguson has showcased his football nous after he exploited a little-known rule in Saturday’s NRL win over Cronulla.